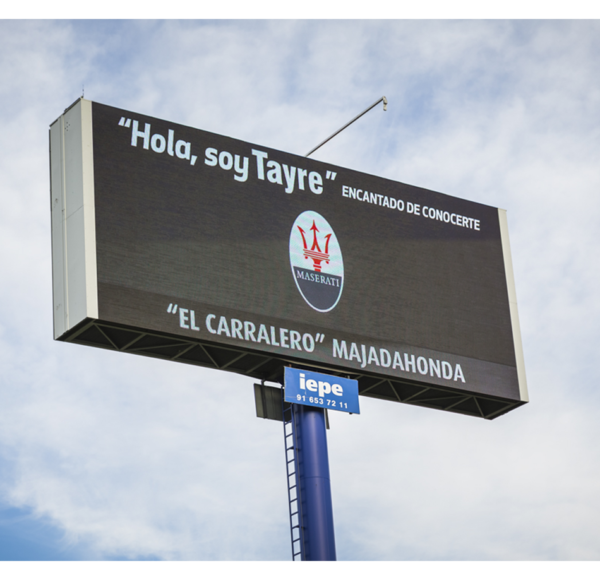 Twenty-five digital screens in the best accessing roads to Madrid, Barcelona and Valencia; in order to achieve the best visibility eight-second ads are made, with only 6 advertisers in each loop. Flexibility of advertising planning thanks to the dynamism of LED technology. Innovative formats for maximum visibility and impact. The Redext Digital Image Circuit is found at the most exclusive locations in Madrid, Barcelona, Valencia and Seville.